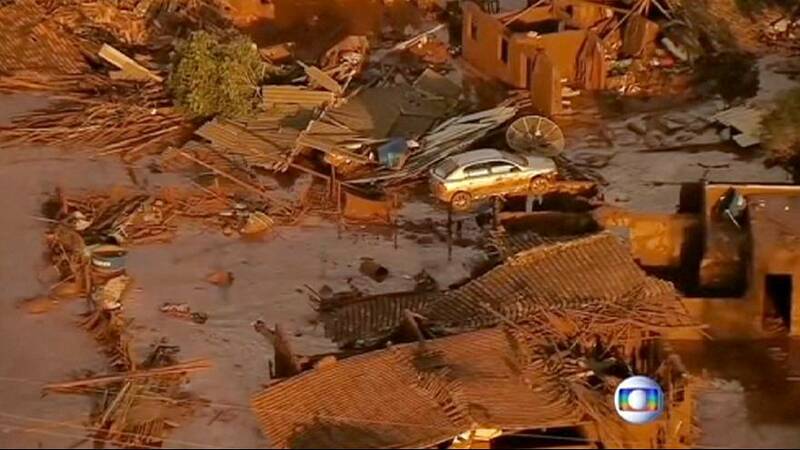 Several people have been killed in the southern Brazilian city of Mariana after two dams holding waste from an iron ore mine burst. A flood of slurry engulfed dozens of homes and buried vehicles. Local media has reported that up to 16 people have been killed and dozens are missing. Residents living in an area downhill from the dams were told to evacuate to higher ground. The mine is owned by Samarco, a joint venture between top iron ore mining companies: Brazil’s Vale and Australia’s BHP Billiton. Samarco said the reason why the dams burst has not yet been determined. BHP Billiton’s CEO told a news conference in Melbourne that a full assessment of casualties and damage had been hampered by darkness. Army units in Brazil were helping the search and rescue efforts on Friday.